Many foundation problems in North Carolina and South Carolina are due to soil problems. Varying soil problems and extreme changes in weather can negatively impact your foundation. Your home’s foundation may crack or the walls may begin to bow or lean. What Are Some Common Foundation Problems? When you see a door that doesn’t close, cracks in your concrete floor or drywall or you have stair steps in your bricks that are not supposed to be there, then you are well on your way to needing foundation repair. Additionally, if the basement or crawlspace is leaking and wet, there may be foundation repair issues that need resolved. Give Tar Heel Foundation Solutions a call today and we will come out and survey the problems and give you a free estimate and discuss our proposed solution. What are Some Foundation Solutions to Common Problems? We use quality Earth Contact Products (ECP) products and will give you a peace of mind to know that your home is sitting on a safe and secure foundation. We will help fix the cracked walls, bowed walls and other foundation problems that you are experiencing with our foundation repair services. Tar Heel Foundation Solutions is a full-service specialty foundation pier contractor dedicated to quality, professionalism, flexibility, and affordability. Our support team consists of certified field installers, structural and geotechnical engineers, along with project managers to provide the best solution to fit your needs. 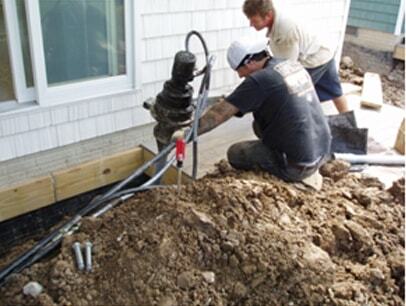 We specialize in foundation repairs for home and business. 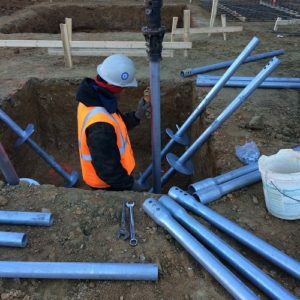 As the top foundation piling contractor in the area, you can count on us for helical piers, tiebacks, soil nails and underpinning work. Our cost-effective solutions, professional installations, and unparalleled pile testing ability sets us apart from our competition. Contact us today to learn more about how Tar Heel Foundation Solutions can help you with all of your foundation problems with our proven solutions. Contact Tar Heel Foundation Solutions today for all of your foundation repairs needs in Charlotte and surrounding areas. We are your foundation repair experts!